MathAltitude is the solution for you! From helping students to understand the basic mathematical concepts to developing creativity in solving complex real-life problems, our goal is to encourage logical reasoning, analytical thinking and independent learning. Our program motivates students to excel in their regular math classes by building their confidence and understanding of math concepts. We challenge children’s intellectual curiosity without overwhelming them. Alex Briskman, President of the WPI IEEE Student Branch, treated students to an up close and personal tour of the Atwater Kent Laboratories at WPI as a follow-up to our WPI Night at MathAltitude. View the pictures of the projects in action! Professor Rose engaged students in some "math fun". He challenged students and parents to think about what they hear and read, and to use what they know about math to analyze what they see. Our WPI Night of Engineering was an enormous success! It was a spectacular and exciting evening of engineering demos, video presentations, plus an informative and helpful financial session and materials for parents and students. 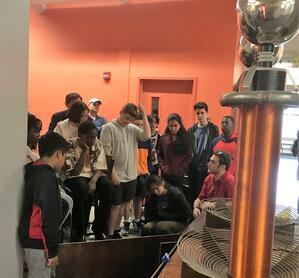 Our audience was very impressed with the presentation by the IEEE Student Section members from WPI. At the 2016 IEEE-USA Awards and Recognition Ceremony held recently in Charlotte, N.C., Awiszio and Serebrennikov were honored with the 2016 IEEE-USA K-12 STEM Literacy Educator-Engineer Partnership Award. With the teacher's dedication and persistence, today my son is a different student. He loves to learn new things and has a passion for math. I am very thankful that my son has this wonderful opportunity for learning. MathAltitude has been the best investment that I could have made in my son's life. Starting in 2016, Worcester Academy began a collaboration with MathAltitude to offer the international Math Kangaroo competition to students from elementary through high school. 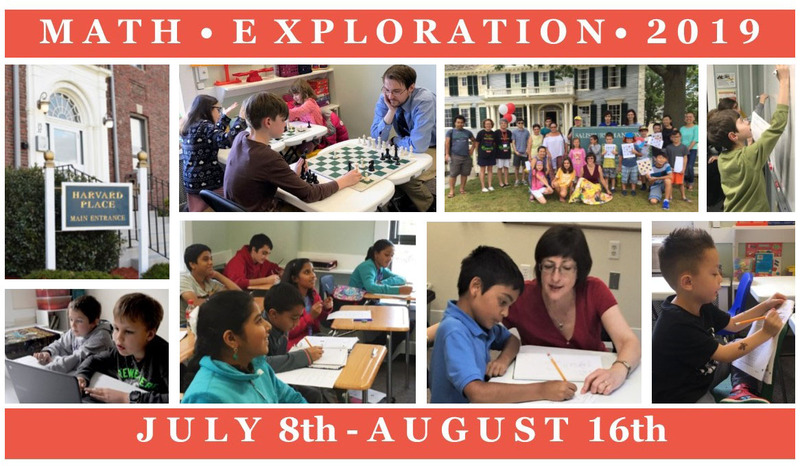 The Worcester Academy Mathematics Department is happy to work with MathAltitude in promoting a unique mathematical experience for the students of the greater Worcester area. Sparking math enthusiasm is evident throughout the Math Altitude staff. Their goal is that children should enjoy learning math at any level. I highly recommend Math Altitude for children of all skill levels to get a fun and comprehensive math learning experience. Math Altitude has given me the peace of mind that my kids are getting the support they need. With small class sizes, my kids get all the attention they require. I am so thankful to Ms. Olga and her incredible staff for the wonderful job they do. Many thanks Math Altitude! The knowledge my daughter has gained at MathAltitude has boosted her confidence and contributed to her academic success. She told me she wishes she had known about MathAltitude when she was younger for she would have had solid math fundamentals starting at a younger age. MathAltitude is a wonderful investment in your child's future. The younger he/she starts, the better! Thanks Olga. I feel Avi is very lucky to have teachers like you, Luba, and Nathan. Your whole team is constantly motivating and inspiring students! Math Altitude is not just a school; it is a community. Movie nights, annual hikes, art contests, and many other extracurricular activities encourage camaraderie among students. Free homework sessions, national math competitions, free preparatory workshops for kids, math clubs, computer classes, and essay writing complement the math curriculum. There are so many options I really could be dropping my kids off every day!